Direct Energy Business proudly serves more than 100,000 customers across North America by offering the resources and the relationships to help you choose your supply strategy and effectively manage your energy spend. Through every step, we demonstrate our commitment to supporting your business goals and earning your trust. We are here to help your business, whether a small shop owner to a large manufacturing plant, benefit from energy supply choice. We begin by talking to you about your energy profile and business goals, so we can customize an energy strategy that supports your specific performance objectives. 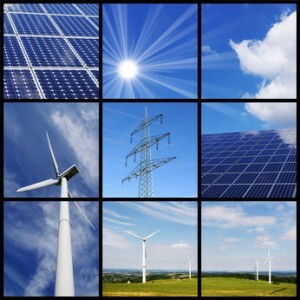 We are committed to offering you beneficial and practical choices for procuring your energy supply. By focusing on our customers’ needs, we’ve helped businesses successfully adopt strategies for controlling their energy costs, maximizing their operational efficiency, mitigating financial risk and supporting their environmental responsibility interests. Direct Energy Business delivers much more than electricity and natural gas supply. We’re here to act as your advocate for energy choice by keeping our eyes, ears and voice in the energy policy sphere. Our in-house regulatory experts are active in each of our service areas, and we regularly share their insights with you, including advance notice of rule making changes and analysis of the projected impact on your energy management strategy. Every member of our company believes that signing a contract is just the first step towards earning your business. We take pride in supporting your goals with customized support, straight-forward guidance and outstanding customer service.